Japan is seeking to place an increasing number of natural and cultural sites on UNESCO’s World Heritage list, which already has 16 properties from the nation. Among them is the Amami and Ryukyu island chain in Kagoshima and Okinawa prefectures. The governments of the two prefectures hope to put the island chain on the natural heritage list after the Ogasawara Islands were registered in 2011. 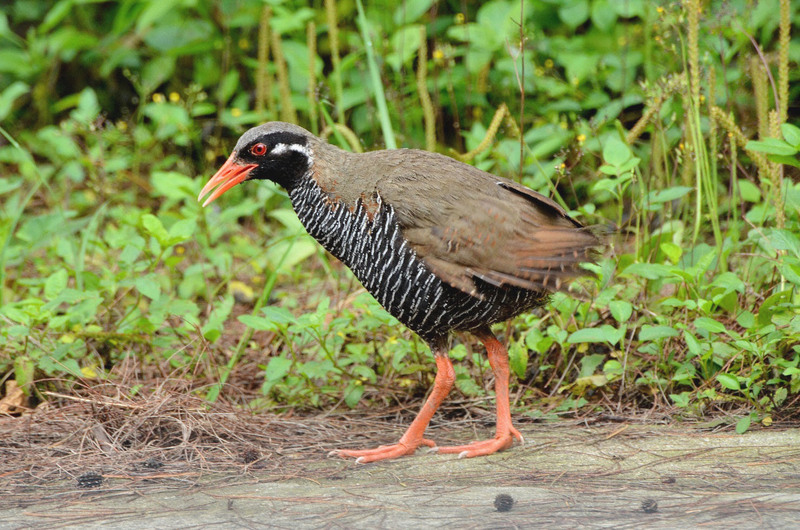 The northern part of Okinawa’s main island, called the Yanbaru region, which is full of mountains and forests, is home to a number of endemic species, such as the yanbaru kuina (Okinawa rail), a flightless bird. The birds face extinction due to attacks by Javan mongooses, which were introduced into Okinawa to exterminate the habu venomous snake. The Javan mongoose is designated as an invasive alien species. 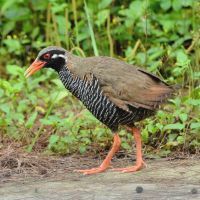 The population of Okinawa rails, which once fell to about 700 — less than half its peak — is recovering thanks to joint protection efforts by the Environment Ministry and the Okinawa Prefectural Government. In 2008, the ministry and the local government formed a team called mongoose busters, whose members patrol the forests together with dogs and check mongoose traps regularly. Makoto Fukuda, a ranger at the Environment Ministry’s office in the village of Kunigami, in northern Okinawa Prefecture, says the population of Okinawa rails has recovered to about 1,000 and that the mongoose busters project symbolizes the fight against invasive alien species. The Yanbaru area also faces a host of issues involving a U.S. Marine Corps training area for jungle warfare, with Okinawa hosting the bulk of the U.S. military presence in Japan. In 1996, the United States agreed to return part of the 78-sq.-km facility to Japan, but as the two countries have hit a snag over the relocation of a heliport from the area, the Yanbaru district has yet to be designated as a national park — a precondition for the Japanese government to recommend it for registration on the World Heritage list. Meanwhile, 12 cultural sites in Japan are on a waiting list for recommendation for listing as a World Heritage. 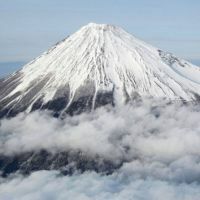 Among them are Mount Fuji and the ancient capital of Kamakura, Kanagawa Prefecture, which local governments hope will be registered on the list in 2013. 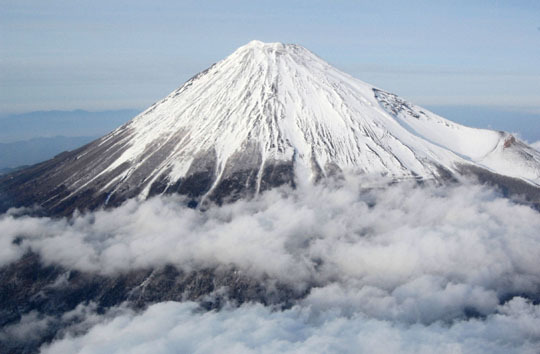 The government is seeking the registration of the 3,776-meter mountain, the tallest in Japan, not as a natural heritage site but as a cultural heritage site since it has long been an object of worship. A vast area at the foot of the mountain is being used for two training ranges of the Ground Self-Defense Force. The Defense Ministry has refused to change the status of the site, saying firing drills at the site are necessary from the standpoint of national defense. Local authorities claim that the presence of GSDF troops for firing drills discourages disorderly development at the foot of Mount Fuji. Whether this idea will be supported during screening by UNESCO inspectors is unclear. Kamakura, which was Japan’s political capital from the 12th to 14th century as the center of samurai culture, features many historic temples and Shinto shrines. 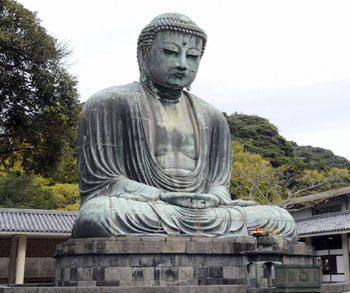 Whether Kamakura can distinguish itself from other ancient cities already registered on the World Heritage list, such as Kyoto and Nara, is expected to hold the key to its registration. 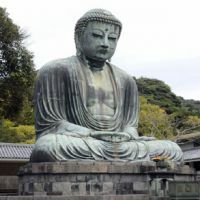 UNESCO is also expected to look at what efforts Kamakura is making to preserve its cultural sites scattered around the city. Besides Mount Fuji and Kamakura, Japan plans to seek registration of the country’s oldest government-run silk mill in Tomioka, Gunma Prefecture, in 2014. The mill was established in 1872 as Japan’s first government-operated silk factory with the help of Western technology in the process of the country’s modernization. Japan also hopes to put a group of churches and sites linked to Christianity in Nagasaki Prefecture on the list. One of them is the Oura Cathedral, which suffered damage in the 1945 U.S. atomic bombing of Nagasaki. One official in charge said Nagasaki’s message of peace is likely to gain support and sympathy from many people around the world in the wake of the devastation of Japan’s Tohoku area in the March 11 earthquake and tsunami, along with the subsequent nuclear accident at the Fukushima No. 1 nuclear power plant. Other Japanese candidates for World Heritage sites are the Mozu and Furuichi groups of tumuli in Osaka Prefecture, including the Daisen tomb, which legend says contains the remains of Emperor Nintoku (313-399). Daisen is said to be one of the world’s three greatest mausoleums, together with the pyramids of Egypt and mausoleum of Qin Shihuang (259 B.C.-210 B.C. ), the first emperor of China. The Imperial Household Agency, which manages the Daisen mausoleum, has not allowed any academic research to be conducted on the tomb. Thus, it has yet to be designated as a historic monument. Some researchers see the lack of academic research and of designation as a historic monument as working against a bid to put the Mozu and Furuichi groups of tumuli on the World Heritage list. The city government of Sakai, Osaka Prefecture, home to the Daisen mausoleum, said the failure to identify who is laid to rest there does not pose any problem for World Heritage listing, offering as an example that it is not known with certainty who is buried in Egypt’s World Heritage-listed pyramids.